Self-driven and incredibly inspirational are two factors that keep the team at Addmore Foods working hard for you. 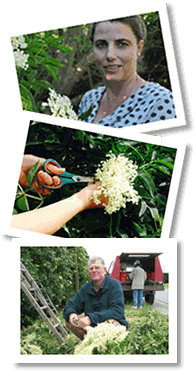 Pride in selecting the finest hand picked unblemished Elderflowers is paramount in maintaining the continued quality of Elderflower syrup. The basis of all Addmore Foods Elderflower beverages. Several years of experience and awards firmly in their back pockets the Team have confidence and build on it. Perfect timing for innovation, for fresh tastes to lead the market. Kate is the engine of Addmore, it is her dream and her passion, the Team she keeps with her keep the journey alive.